The pitch of the circuit (i.e. gap between each sinusoid of the heating yarn): from 4mm to 20mm. 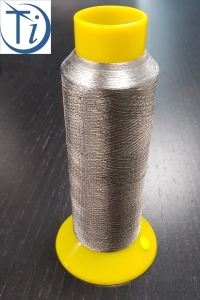 Heating yarn type: non insulated "N" or insulated "I" with different conductivities. 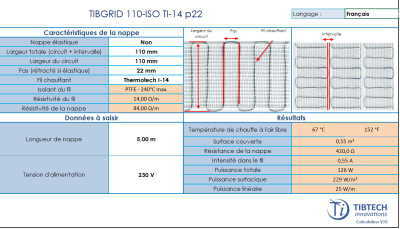 The presence of selvedges (additional support fabric aside the heating circuit) to ease the Tibgrid fabric integration. 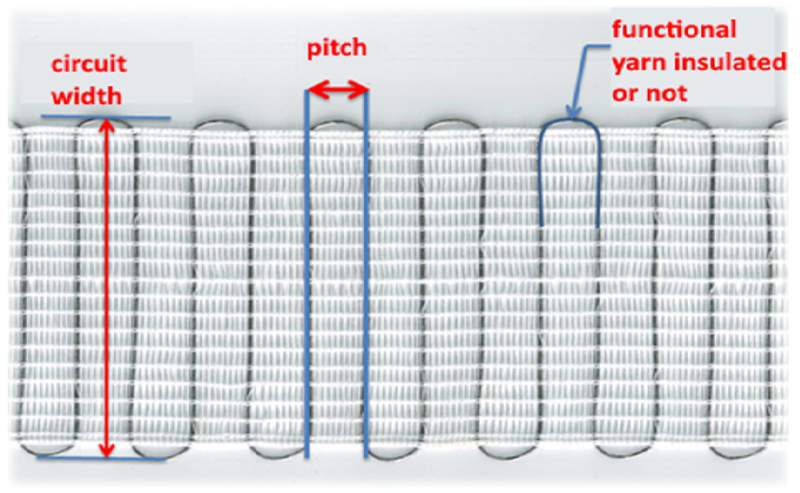 The pitch can be adapted to your areal power heating requirements. 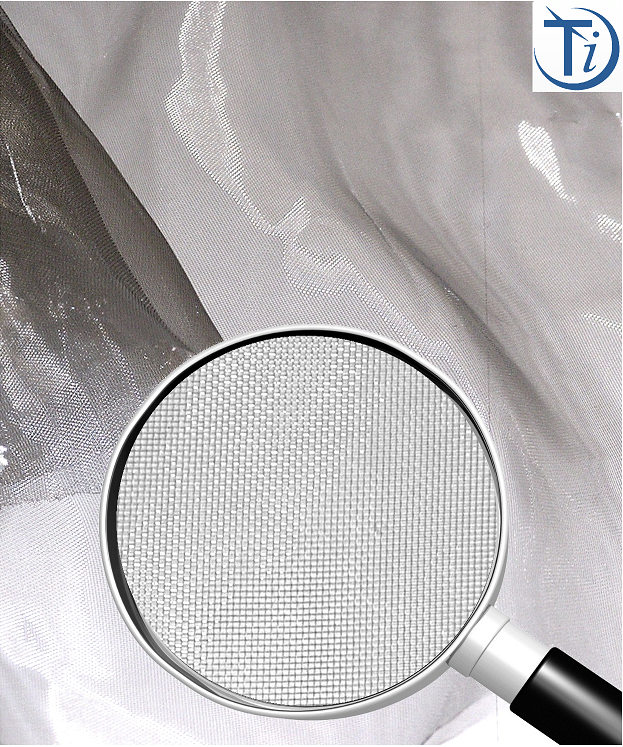 Can easily be inserted between two composite or textile layers thanks to its open structure. 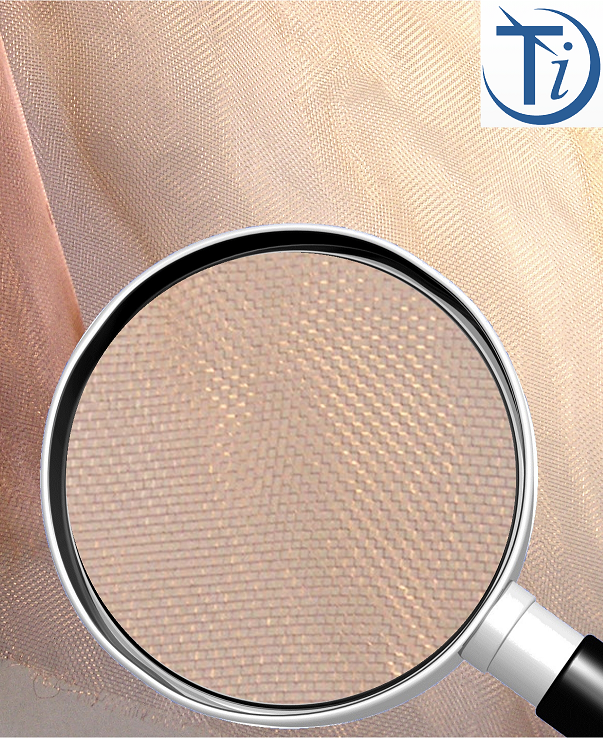 The fabric is therefore completely embedded into the material. 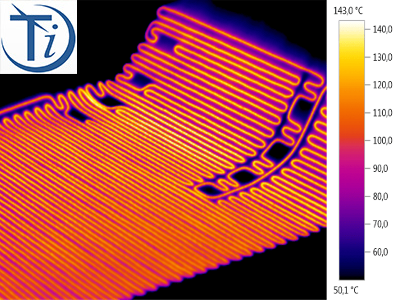 Have a redundant heating grid, for instance for aerospace applications. Have a higher areal power without increasing the thickness. Ease the connection: the input and output of the circuit are at the same place. Composite functionalization: de-icing or heating. Electrically heatable molds: out of autoclave process for curing, infiltration (RTM) or preforming for composite manufacturing. 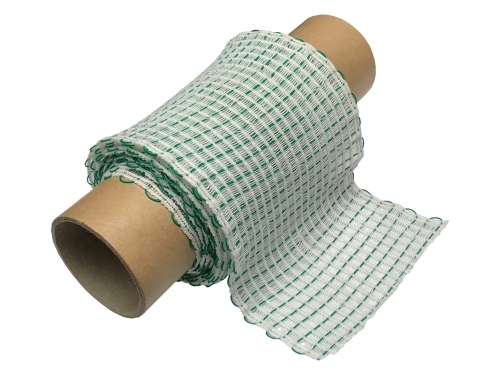 The Tibgrid® fabric is sold by rolls: minimum order length is 10 meters. Composites: heating silicon vacuum bags (out of autoclave process), complex parts functionalization (e.g. parabolic antennas). De-icing of composite parts through easy laying on complex shapes! Ultralight version of TIBGRIDSTRETCH are very interesting to use in complex shapes where light weight is compulsory. Heating control by zone is also easily possible. Of , it can also be used through simple stretchable laying process of complex shape or ultra light heating molds. 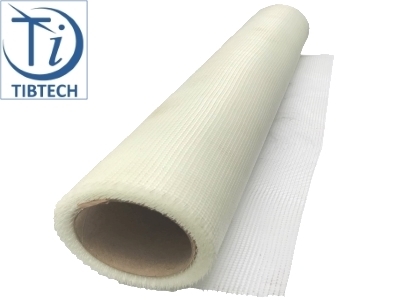 TIBRIDSTRETCH is used in sport, boating, medical, workwear or other SMART textiles: stretchable heating fabric compatible with high stretch fabrics and compatible with breathability and moisture control. 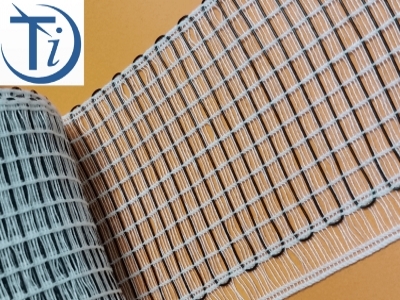 Facilitates the pre-positioning of our heating fabric (TIBGRID) or ribbon (THERMOSTRETCH). see photographs here joint ! This can allow you to prepare your heating fabrics shapes on the TIBGRID support cut to the size or your composite parts beforehand! It can lead you to a good process time gain. 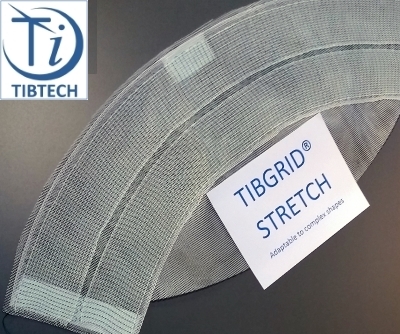 Also possibility to lay easilly the TIBGRID-STRETCH version along a curve shape, even on a flat surface! Areal power from 100 to more than 7000 Watts/m²: often between 100 to 300 Watts/m² for de-icing applications, and more for heating. Possibility to split the surface into zones with different areal power. Easy to insert within complex composite or plastic parts. 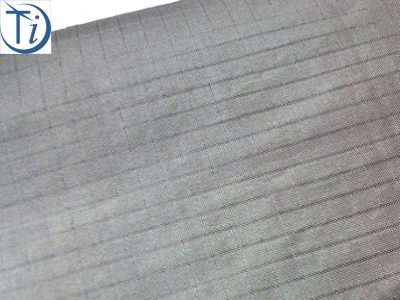 Maximum dimensions of the fabric are 500mm x 700mm. Several elements can be assembled to make a larger surface. 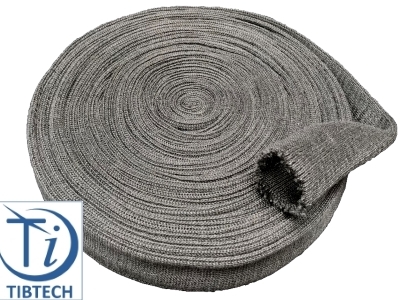 Various textile supports available: elastic, high temperature resistant. 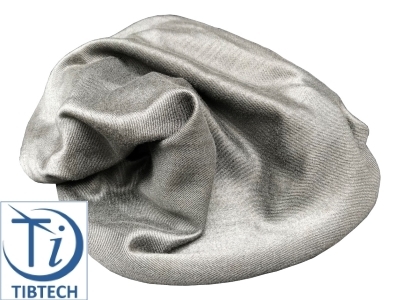 Very thin, light and flexible cloth. 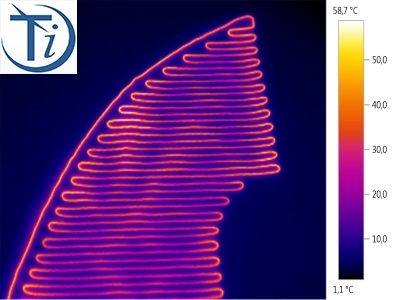 Thermal gradient homogenization: better spreading of the heat produced by the heating circuit. 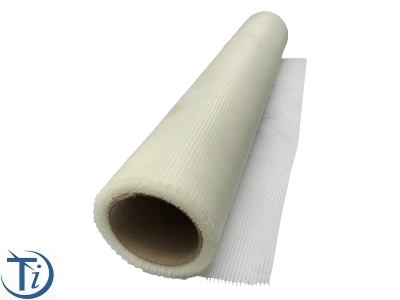 The conductive cloth which is usually inserted between the heating fabric and the outer layer of the composite mold or composite part. 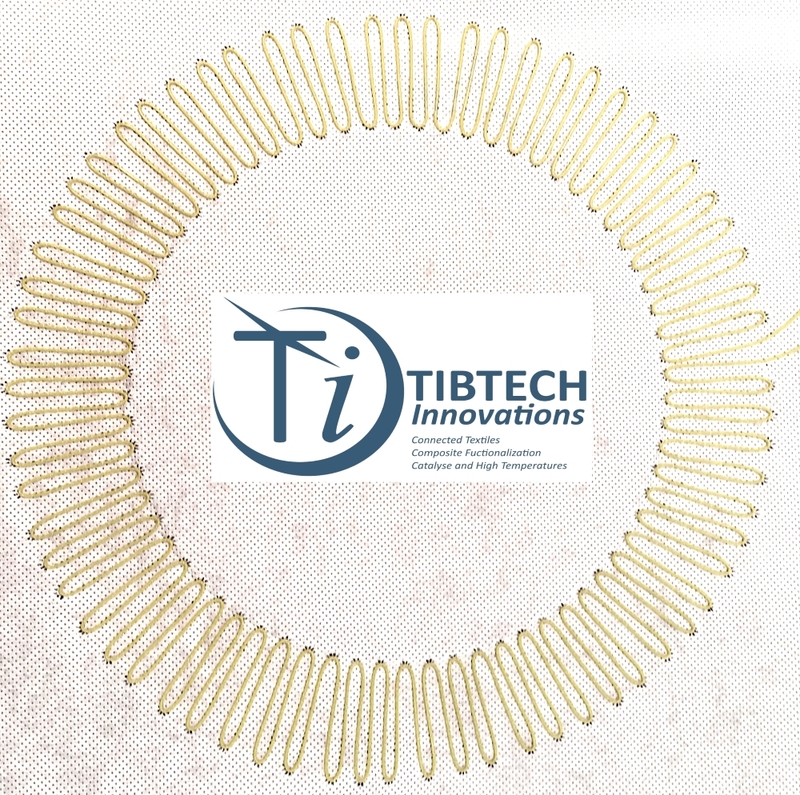 Safety: except for low tension applications, we strongly recommend to connect the Tibmesh conductive fabric to the ground. 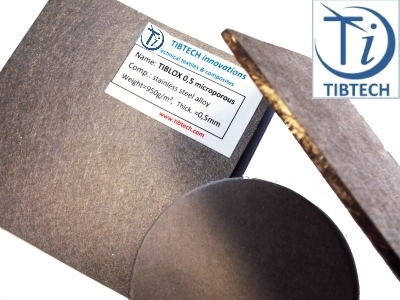 In case of accidental damage of the mold or composite part, the Tibmesh conductive cloth will greatly limit the electrical shock hazard. 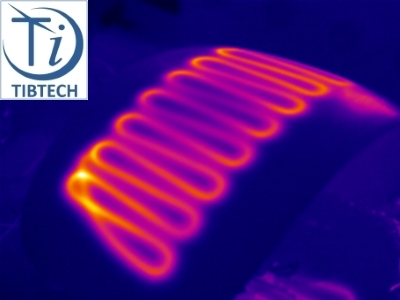 Induction heating for composite parts or thermal adhesive for the stainless version. Composite part lightning protection, especially for aviation. 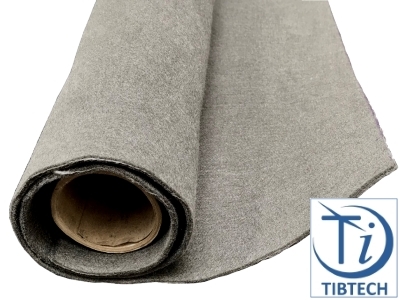 TIBMESH (75g/m²) stainless steel: sold in 1m width and 10m long rolls. 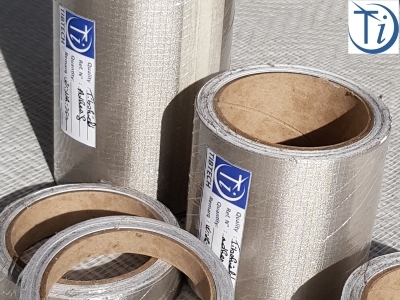 TIBMESH CU copper base (75g/m²): sold in 1m width and 10m long rolls. Pour les achats par rouleaux complets à prix préférentiel, merci de nous questionner! Rip stop reinforced woven structure. Shielding above 70dB for frequencies between 3 to 10MHz. Sold in 10m long 1.4m wide rolls. 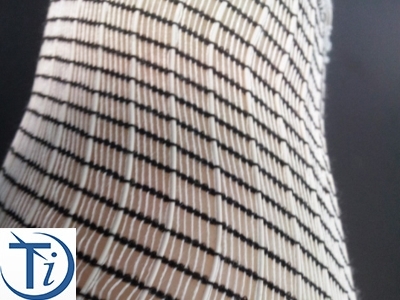 Very open, thin and flexible fabric. Shielding for frequencies between 3 MHz and 10 MHz higher than 50dB. 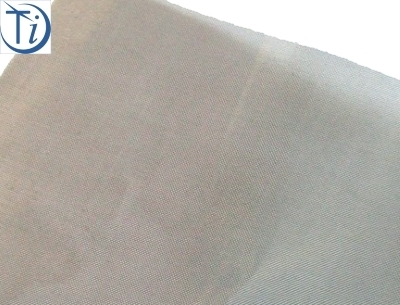 You can purchase samples online using the below link: link to purchase Tibshield fabric by the meter.